COL Jay O. Brewer, TXSG, Ret. and A&M Class of ’81, joined the Texas Aggie Band in the fall of 1977 and graduated from Texas A&M University with a Bachelors Degree in Mechanized Agriculture. 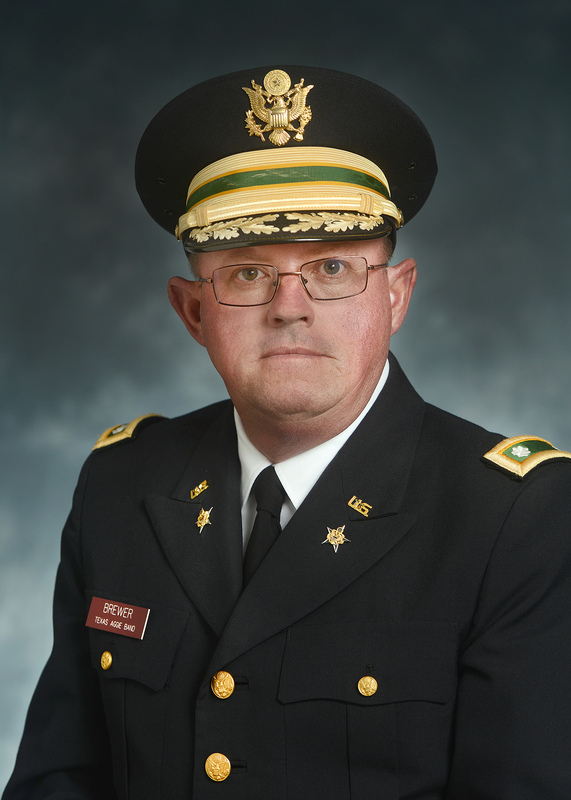 Colonel Brewer has served on the band staff since his graduation in 1981. He studied music at Sam Houston State University, and later received his Master of Music Education Degree from the VanderCook College of Music in Chicago. In 2002, Colonel Brewer was awarded the President’s Meritorious Service Award for outstanding service to the university and its’ students. In 2006 Colonel Brewer was awarded the John J. Koldus Faculty and Staff Achievement Award. Colonel Brewer currently serves as the Senior Associate Director of the Texas Aggie Band. Aside from charting drills, teaching music, and counseling band cadets, he is also responsible for the maintenance, repair, and inventory of band instruments. He also serves as the “voice” of the nationally famous organization at all half-time drills. The Aggieland Orchestra Dance Band, which is part of the Aggie Band, is also under his direction. Colonel Brewer is married to Judy Anne Brewer ’85. They have two children, James and Natalie.